As a kid, there was nothing more exciting than getting taken to Pizza Hut for a gooey, cheesy personal pan pizza all our own. But my excitement for the chain has waned over the years (especially once I discovered New York-style pizza). And yet once again, Pizza Hut has found a way to lure us all back to the very place where our love for all things carbs and cheese began. 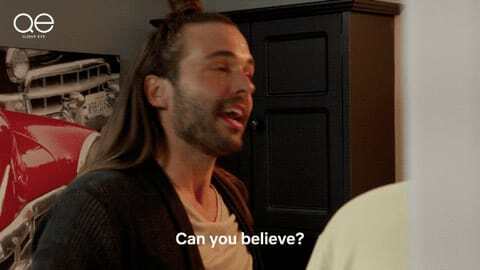 They're bringing back their totally bananas Cheesy Bites pizza. Cheesy Bites pizza is basically a stuffed-crust pizza that is meant for sharing. Instead of one unbroken crust tube (that sounds nasty but it's made of bread and cheese so stay with me), the crust is made up of li'l nuggets of warm bread stuffed with gooey melted cheese. You can tear them off of your pizza slice, then dunk them in marinara, ranch or hot sauce or just stuff them directly into your mouth. 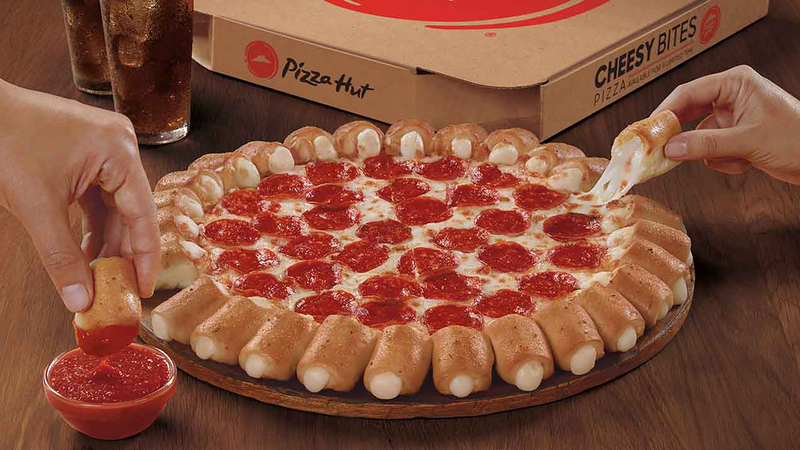 Even if you're not a huge fan of chain-restaurant pizza, Pizza Hut has proven they can do the cheese-and-bread thing pretty well by now. Their cheesy breadsticks are legitimately awesome; they were pioneers of the original stuffed crust; and now, they've brought back Cheesy Bites pizza. The more I think about it the more it seems likely I'm going to be ordering one of these pies for dinner. The lure of salty, bready deliciousness is just too strong. They also have a seasonal dessert item on offer — the Hershey s'mores cookie. It's basically a big chocolate chip cookie covered in s'mores ingredients and baked until it reaches gooey perfection. In the words of Queer Eye's Jonathan Van Ness… Can you believe?! Both menu items are available for a limited time only this summer, so if you accidentally started drooling on your screen while reading about them (not that we can relate *insert very suspicious looking emoji here*), you'd better act now.